Groupon is a deal of the day website that offers discounted promotions for use at local and national businesses. Groupon continues to promote the greyhound racing industry by offering vouchers at discounted rates for use at the tracks, despite concerns expressed by campaign groups and members of the public in relation to cruelty. 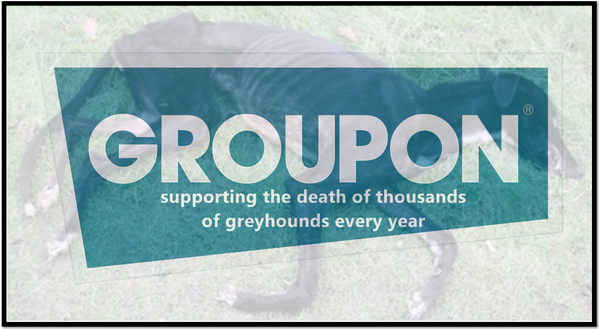 Please send polite emails to CEO of Groupon and request that they stop promoting cruel greyhound racing.